Wedding season is in full bloom on Nantucket, and we can't get enough of the island's beautiful brides and picture perfect receptions at White Elephant. This beautiful video, filmed at White Elephant by Meg Simone Wedding Films is a favorite, and according to Meg, Nantucket is a favorite of hers. We caught up with Meg about what makes capturing a Nantucket wedding so special... NI: What inspired you to become a videographer? MS: My parents were lucky enough to have a film of their wedding in 1972 and I had also seen an old film of my grandparents wedding from 1940! I would watch these as a kid and became fascinated with the ability to relive moments. 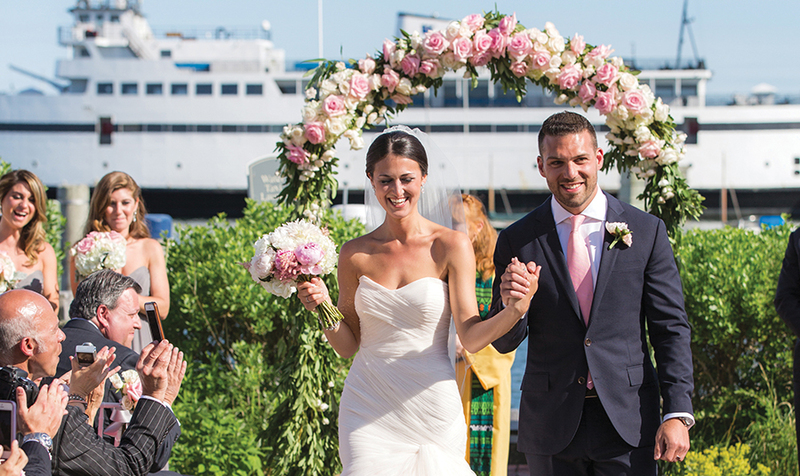 NI: What are some of the reasons you love to film Nantucket weddings? MS: My biggest source of inspiration comes from nature and there is no shortage of breath-catching scenery and beautiful natural light on Nantucket. At White Elephant, the grounds are stunning, the water laps the docks within a stone's throw of all the action, the late day light is amazing, the architecture, blowing sea grass, and the rosa ragosa. Plus the people and staff are so friendly and easy to work with.